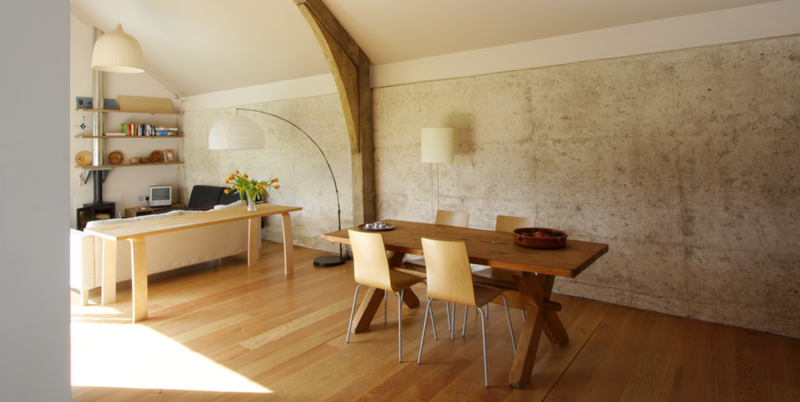 Built on the South Downs Way in Hampshire, this house for a woodturner is constructed from rammed earth, timber and reclaimed roof tiles. Completed in 2008 this house replaces derelict sheep sheds on a site formerly owned by the forestry commission in an Area of Outstanding Natural Beauty. The layout protected the long views for walkers and created a modest house with a rammed chalk wall, dug directly from the site. Along the South Downs Way this wall creates a 20m long screen, protecting the house and garden from view. 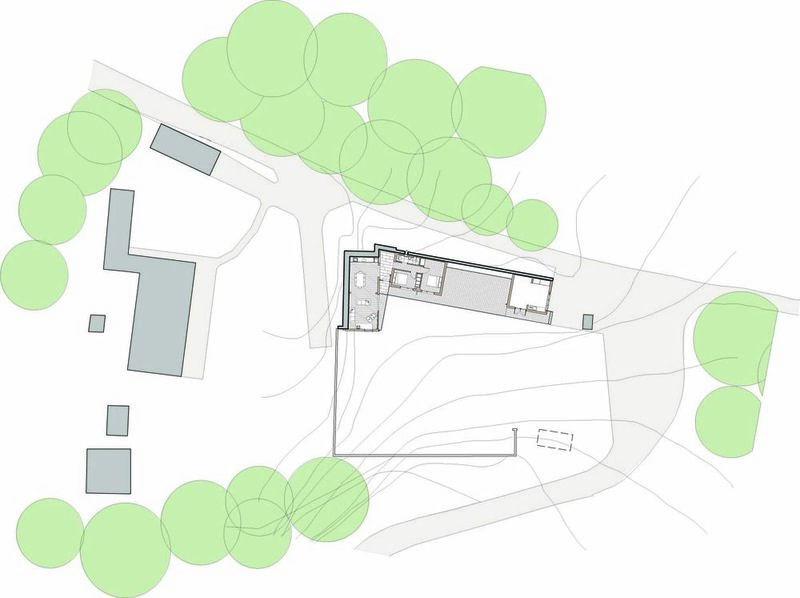 As a retaining wall along the west of the site, t is exposed on the internal face, allowing the living room and kitchen to benefit from the thermal mass. 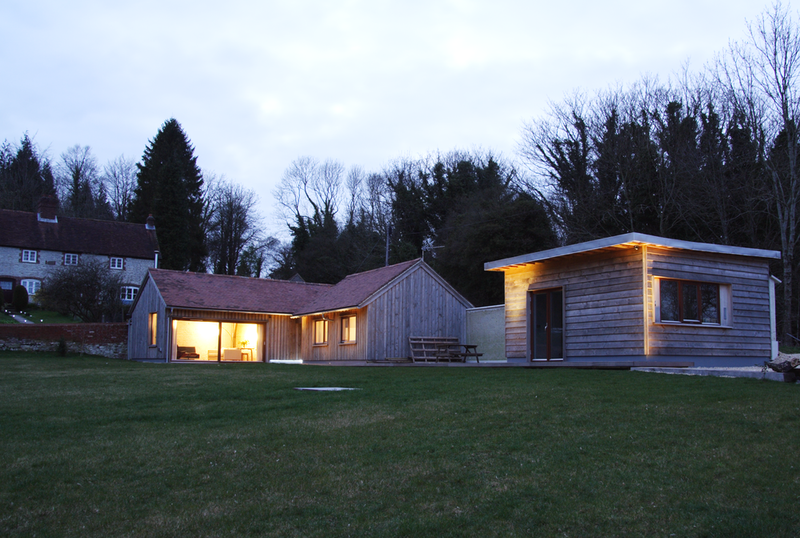 The 'sleeping house' and 'living house' are connected by a glass roofed entrance hall with the woodturning workshop located separately. The house is heated by a ground source heat pump and has very low energy in construction and use.